Free range chicken tenderloin are perfect for frying up the most tender, moist and flavorful strips you can get. These all natural chicken tenders leave no room for being the average lunch. 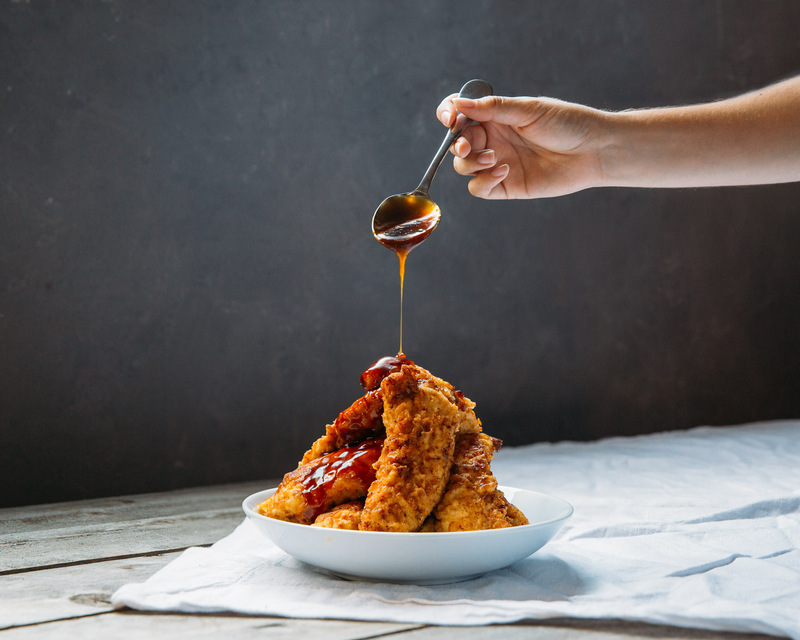 Serve up some hot chicken tenders at dinner, lunch, or even your next party because nobody will be able to keep their hands off these finger foods. Combine the marinade ingredients together and put in a large resealable bag. Place tenders in with the marinade and seal the bag. Mix the contects in the bag around to coat every piece evenly with buttermilk and put in the fridge to marinate. Leave refrigerated for about 4 hours. 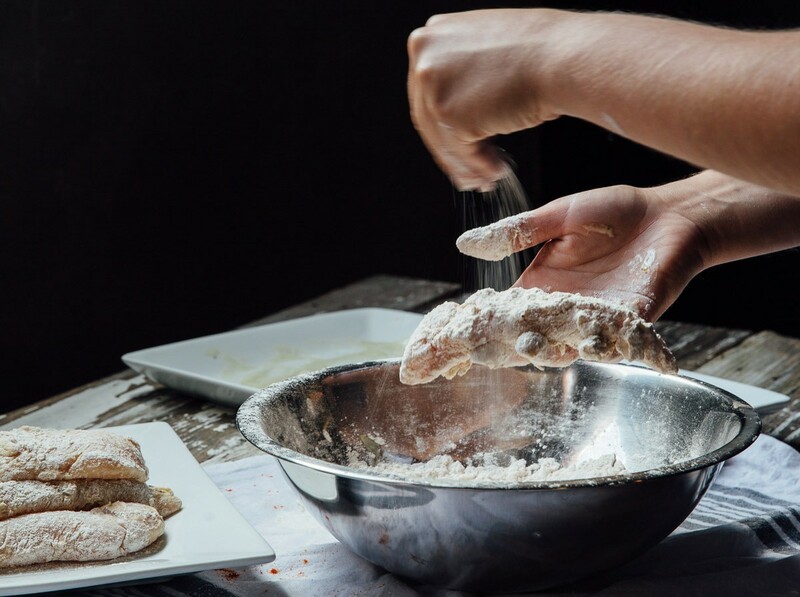 Make the breading by combining the flour, bread crumbs, salt, pepper, garlic powder, paprika and baking powder in a large bowl. Line a baking sheet with aluminum foil or parchment. Remove the chicken tenders from the marinade a few at a time and toss into the flour mixture. Coat the tenders evenly and press the breading onto the meat to adhere. Set breaded tenders on the lined baking sheet. Line another baking sheet with a few layers of paper towels and set aside. Add 3/4-inch of cooking oil to a large, high-sided pot and place over high heat until oil is shimmering. Using tongs, place several chicken tenders in the hot oil without crowding the pan. If the tenders do not begin to simmer, the oil is not hot enough. Cook until golden brown on the bottom side, a few minutes, then flip and cook until second side is also golden, a few minutes more. Set cooked tenders on baking sheet lined with paper towels to drain. Fry remaining tenders in batches. Place all the tenders on paper towels until they dry then serve! Enjoy while it's hot. Like having fresh ideas for dinner? Like us on Facebook and follow us on Twitter for weekly updates and never be short of new dishes to try. Every meal is a new adventure, follow our Instagram for daily inspiration.